Crabs though look complicated to be cooked, the actual process is so simple as pictured here and once cooked its taste rules all the seafood. Here you go, the video shows you how easily and comfortably you can clean it with the normal tooth brush to reach its nook and corners. If the crabs are live just immerse them in hot water and go ahead. Once cleaned, crabs can be cut into two halves first and its legs can also be separated. Crabs can be cooked as a whole also, but I personally felt that the spices were not getting in and the gravy was alag ya was aloof from that of crab. So I just wished to have them cut off. 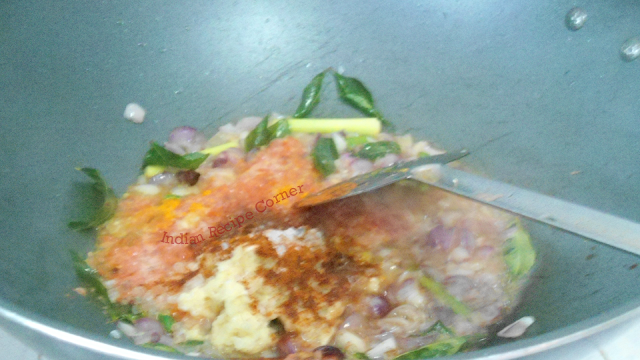 Make coarse paste of tomato followed by ginger, garlic paste. 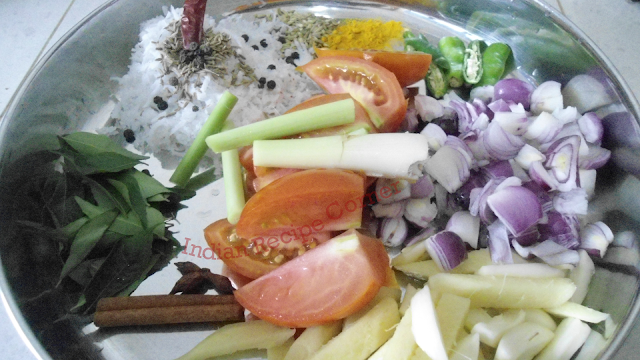 Get ready with one more paste of coconut, fennel, pepper, cumin, chilli. Heat the pan. A wider pan would be recommended. Add oil. Once hot add cinnamon, cloves, star anise, curry leaves, shallots and lemon grass. Give a mix till the onions become transparent. Now add tomato, ginger garlic paste, turmeric powder, chilli powder and salt. Mix well till oil separates and now add crab and a cup of water. Give one more mix and close the lid. Crab cooks very quickly within 10 to 15 minutes. 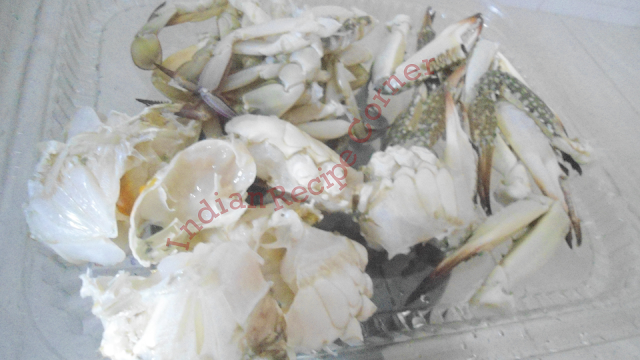 Once it is cooked one can feel the strong aroma of crab and it can be further cut with a spoon also. 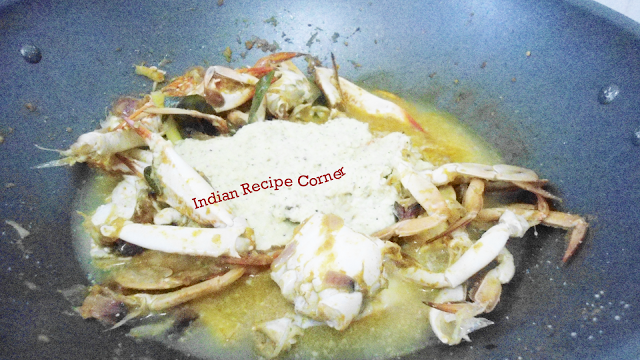 Now add the coconut paste, mix well and add 1 cup of water to immerse the crab in spice mix and close the lid for 5 more minutes. Open the lid , confirm your desired salt in dish. Corriander leaves can be garnished and transferred to a serving bowl. 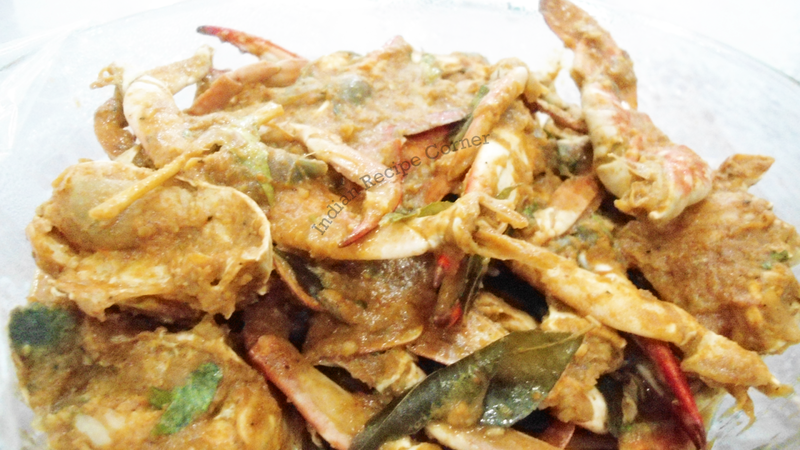 Crab gravy suits with hot rice either Ponni or Thai rice. Enjoy the healthy and delicious crab gravy as per your wish. tempting one.. i usually serve it with rasam rice..